A campaign to boost awareness of the role natural gas plays in everyday lives now includes an informative online series. The Brighter program is an initiative of the Australian Petroleum Production & Exploration Association (APPEA), the voice of the oil and gas industry. A new way of talking to Australians about the role natural gas plays in their everyday life, the program exists to draw out and champion the positive stories surrounding Australian natural gas. The Brighter team are excited to announced that their new online series, The Chef’s Secret – Cooking with Gas, premiered online on Monday 14 January. 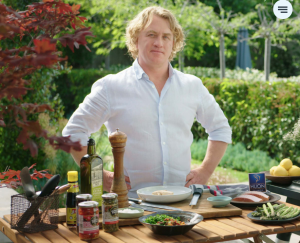 They have brought on two well-known Australian chefs, Adrian Richardson and Georgia Barnes, to demonstrate how Australians can make the most of natural gas used for cooking – whether it be on a cooktop, BBQ or even camping stove. This eight-part series is available to view on the Brighter website (www.bright-r.com.au) with new episodes available from 4pm on Mondays. APPEA is seeking AMMA members to get involved in its “Brighter” program. Through AMMA’s community of shared interest, we are encouraging members to become involved in APPEA’s program and promote the importance of natural gas.